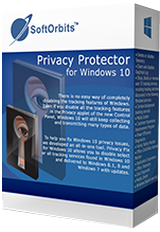 Privacy Protector 1.6 for Windows 10 was available as a giveaway on June 14, 2016! Privacy Protector for Windows 10 helps to cope with privacy of the OS. There are numerous services in Windows 10 that collect private user data of all possible kinds. This tool helps to solve all Windows 10 privacy issues that violate a right of every user for confidential activity on his PC. The program is oriented both for private users and companies with exclusive standards of data confidentiality. Purchase an Unlimited personal license (with support and updates) at 50% discount! How would you improve Privacy Protector 1.6 for Windows 10? SoftOrbits Digital Photo Suite product line provides data solutions for retouching, resizing, converting, protecting and publishing your digital photos. Purchase a personal license at 70% discount. SoftOrbits Photo Bundle product line provides data solutions for resizing, convertion, protecting and publishing your digital photos. Purchase a personal license at 70% discount. I've installed Softorbits privacy on two Windows 10 computers. Now, I'm getting Windows update error "Error code: (0x80246007)". It cannot update my Windows defender. My other Windows 10 computers - WITHOUT SoftOrbis Privacy - do not have that problem. I've installed Softorbits privacy on two Windows 10 computers. Now, I'm getting Windows update error "Error code: (0x80246007)". It cannot update my Windows defender. My other Windows 10 computers - WITHOUT SoftOrbis Privacy - do not have that problem. Just commenting. I commented 5 hours earlier that after installing the program on Win 7x64, that Soft orbits did not send me a key. About one hour ago I found the key and inserted it. It gives me, "You have entered an incorrect registration". I made a screen copy and sent it to Soft orbits and one to here. I asked if anyone else had this problem today. I wonder why I can never get the reg number to different programs. Thanks so much Soft orbits and GOTD for nothing. I installed this program earlier today and did the suggested changes including turning off Auto Updates. Imagine my surprise an hour ago when Windows 10 pushed through an update on my system. After checking for the reason I discovered that while it might have changed the auto updates, I couldn't find the settings for running updates so I am not sure, the program left the Automatic Maintenance alone. To activate your free copy visit: http://www.softorbits.com/actions/getkey.html. The first address resulted in nothing. The 2nd one sent an email stating they will send me many offers on other products??? Program says unregistered version. This is the same company that sent me a key for their last offering that was invalid. I should have known better just seeing the name SoftOrbits Disappointed once again! Once again SoftOrbits does not send a register key or number. Program installs quickly and easily on Win 7x64. Will transfer over when I get Win 10. I went to http://www.softorbits.com/actions/getkey.html, as writen on the readme and to confirmation's To activate your free copy visit: http://www.softorbits.com/actions/getkey.html. The first address resulted in nothing. The 2nd one sent an email stating they will send me many offers on other products??? Program says unregistered version. This is the same company that sent me a key for their last offering that was invalid. I should have known better just seeing the name SoftOrbits Disappointed once again! THIS Is all you need, for controling your Win 10 machine - Especially if you don´t have the Pro version..
It´s called W10Privacy and made by a German genius (yes they exist ;) - It is FREE of charge and the only thing you need to get a peace of mind about Privacy, no forced updates or reboots & a chance to delete all those crappy apps.. It does the same as this GiveAway, although much more OFF buttons are available & with explainations..
skybase, Ageed the comments are Stellar... Which is good because the software often isnt. There are much better software that is free, that will not only do the same things this software claims to do but will do a better job of explaining what each option it provides actually does instead of making the user guess or have to search the internet just to make sure they're not going to screw something up. a couple of examples would be? Deputydawg, a couple of examples would be? fitz43, Donotspy 10, Destroy Windows 10 Spying, Spybot Anti-Beacon, etc. Since installing this program on a Win64 laptop and using the default privacy options I get an elanTPCfg64.exe error every time I boot the system. Google says this means my registry is broken. Is anyone else getting this error message and how can it be fixed?? The computer still seems to run ok.
Croco, Thanks, the restore point I made before applying the privacy changes seems to have fixed the problem. the System said files etc were restored but Avast stopped it from rewriting the registry, but all seems ok again. I have commented a number of times about either not receiving the email for a download link or not receiving the email with the registration code. This being because one email address has a hyphen and one email address has a dot. My advice is never try to use an email address containing a dot ‘.’ nor a hyphen ‘-‘ . My last comment on this subject unless it’s a cut a past job. Different people feel differently about privacy, & how far they're willing to go to protect their privacy varies. Data is big biz, & ultimately trying to maintain your privacy may become, may be already a lost cause, but rather than just blindly go along with whatever, I think it's worthwhile for each of us to consider what we're giving up, what we're gaining, & what levels of loss of privacy we're comfortable with. Then we can each contribute to the conversation, and maybe our combined voices will have an impact on how our privacy is preserved, or not in the future. As it is, we are recognizable not just by our faces & various prints, but the way that we stand, walk, talk, write, & even type -- the rate at which we each hit different characters is an individual trait it turns out. When you use voice search Google records what you say, which makes tech sense, but then it saves those recordings - why? There are things we can easily do... you can change settings on your accounts for Google, Facebook, Microsoft etc. You can check out Privacy Badger from the EFF, & Lightbeam for Firefox for example. Today Privacy Protector for Windows 10 puts the focus on Windows 10 & its potential privacy issues. And yes, I write *potential* because the seriousness of those issues is something that's debated, not absolute. I've included some links regarding 10's privacy related settings etc., & it can be tiresome if nothing else to take all of the individual steps to get 10 to shut up. In that sense Privacy Protector for Windows 10 may be very worthwhile, putting everything on one screen. But SoftOrbits has a vested interest in taking a more alarmist stance when it comes to Windows 10 & potential privacy issues, because they want to sell software that makes it easier to turn that stuff off -- it's no different than a company selling security software being alarmist towards malware threats... it's simply what they do. Most journalists focused on Microsoft & Windows take the oposing view, which makes sense too, as they talk to people at Microsoft constantly, & Windows is their bread & butter. Like everything else, the greatest truth is more than likely somewhere in the middle, but it's up to you to decide what you're comfortable with. Some folks will use this as another argument against 10, & there are plenty of valid arguments both for & against 10, but again that's something for you to decide yourself. Personally I think Microsoft will force adoption of 10, so I consider the point moot -- to me it doesn't matter how good or bad 10 is, since I have accepted that I'll have little choice in the matter. You do have a choice in the matter mike, reject Windows. Since Windows 95 was introduced Microsoft have not had the slightest consideration for the convenience of the user. 95's use of the registry almost guaranteed that OS problems would result in the loss of all the users other software programs. Installing Windows 7 was in my case a necessity for business reasons; I never use it by choice instead I stay with XP. In essence XP is the last version of Windows that I installed by choice as I intend to change to Linux shortly. Much more secure than Windows, much less overhead than Windows, much less intrusive than Windows. Bye Microsoft and good riddance, such a shame it had such potential. mike, <b>You do have a choice in the matter mike, reject Windows.</b> Since Windows 95 was introduced Microsoft have not had the slightest consideration for the convenience of the user. 95's use of the registry almost guaranteed that OS problems would result in the loss of all the users other software programs. Installing Windows 7 was in my case a necessity for business reasons; I never use it by choice instead I stay with XP. In essence XP is the last version of Windows that I installed by choice as I intend to change to Linux shortly. Much more secure than Windows, much less overhead than Windows, much less intrusive than Windows. Bye Microsoft and good riddance, such a shame it had such potential. Tata, Try Mint 17.3 Cinammon. SUPERB os! mike, I've permanently blocked any possibility of 10 being installed. You can check all the native privacy options you want but that means nothing to MS. Absolutely zero. It's not so much privacy, as it all comes down to what you or I do is NONE OF MS' BUSINESS! They make a bundle out of what they collect, and do not share a single penny! My biz is MY biz, and who gave them the idea that they have a right to collect it & sell it? Amazing that the Federal gov even allows it, but they only work for big corporations and not we citizens anyway. In my comment above four people have marked me down yet it has four distinct areas, and because of their structure NO doesn't work, if you can write please comment. mike, as you imply, data is not knowledge, if it were, the Orlando shooter would have been detected, picked up and sent to a re-education resort before he could commit his crimes--along with an unknown number of false positives, of course. But when quantum computing comes in, there is the capacity for data to become knowledge, so it is the right time to start thinking about these issues and formulating plans. Tata, Linux isn't more secure than Windows. That's an old wives tale that has proven to be false. Sure, you don't hear about many viruses or malware on Linux but they do exist. Hell, even Apple is having trouble with malware/viruses on OS X which is based on Linux. Even Ubuntu Mate is a very good choice! You are pointing in right direction - Linux is the only way to go. No matter which distro you use, YOU are in control and decide what/when to do with your system. 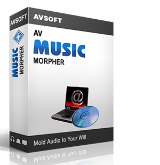 Furthermore until you do not start fiddling around you cannot even imagine the richness of free programs of every kind that you can get and install. If you are very new to Linux any variant of Ubuntu is the easiest way to get started. Dennis Tonevi, You are pointing in right direction - Linux is the only way to go. No matter which distro you use, YOU are in control and decide what/when to do with your system. Furthermore until you do not start fiddling around you cannot even imagine the richness of free programs of every kind that you can get and install. (Many even better of the similar paid Windows counter-part!) If you are very new to Linux any variant of Ubuntu is the easiest way to get started. My suggestion is Ubuntu Mate (Mint is a very good choice too...) Linux is the future! I have a question, why install this software at all, it is a one time use, once some of the switches are turned off, nobody will run it again. Second, Microsoft has right to turn those switches back on as per their disclosure for using their product or ignore your requests with on and off switch selections. Just read the EULA before you install win 10, it is in there under privacy issues section. They will not tell you or confirm that now you have permanently disabled some switches and that will obey your selections. I have a question, why install this software at all, it is a one time use, once some of the switches are turned off, nobody will run it again. Second, Microsoft has right to turn those switches back on as per their disclosure for using their product or ignore your requests with on and off switch selections. Just read the EULA before you install win 10, it is in there under privacy issues section. They will not tell you or confirm that now you have permanently disabled some switches and that will obey your selections. "... why install this software at all, it is a one time use, once some of the switches are turned off, nobody will run it again. " By its nature win10 is somewhat fluid -- features are & will continue to be updated, while major updates like the one coming at the end of July mean a re-installation of Windows. When the dialog &/or underlying files & services for a setting changes, you'll probably have to reset it. As far as turning some stuff back on, most of these settings Microsoft cannot turn back on without 10 running some sort of update -- that's something you can be aware of, & fire up Privacy Protector accordingly. Another reason to install? Ginna, <i>"... why install this software at all, it is a one time use, once some of the switches are turned off, nobody will run it again. "</i> By its nature win10 is somewhat fluid -- features are & will continue to be updated, while major updates like the one coming at the end of July mean a re-installation of Windows. When the dialog &/or underlying files & services for a setting changes, you'll probably have to reset it. As far as turning some stuff back on, most of these settings Microsoft cannot turn back on without 10 running some sort of update -- that's something you can be aware of, & fire up Privacy Protector accordingly. Another reason to install? Ginna, you answered your own question "why install this software at all, it is one time use" in the second part because "Microsoft has right to turn those switches back on" "They will not tell you or confirm that now you have permanently siabled some switches....". In win10 there could be a constant battle between software that disables big data collection and Microsoft disabling changes by that software (unless there is some government ruling about whether the EULA is legal or not (privacy laws in lots of countries)). So, this software will quite possibly not be of "one time use", and there could even be a need for updating these win10-privacy-softwares frequently. Ginna, you answered your own first question in your second paragraph, Microsoft has a habit of enabling and re-enabling what it wants via windows updates, most recent case in point is GWX no matter how you hide , alter access rights uninstall, Microsoft repeatedly lied by saying the update resolved issues in windows when it had no such purpose and reverted hidden updeate settings and reverted access permisions on GWX folders to get it forced on qualifying windows systems, ultimately due to business customer pressure updating windows update itself to look for a very specific but widely undocumented registry setting to allow certain professionals subscribed to the right microsoft subscription to be able to signify that windows update and GWX must not push windows 10 on a particular individual windows 7 or 8.8.1 installation.But even still we are trusting Microsoft will obey their registry setting! You need the equivilent of realtime antimalware protection to ensure your privacy and destiny choices for your Microsoft Windows 7 and up instalation against Microsofts unsolicited tampering! Ginna, you answered your own first question in your second paragraph, Microsoft has a habit of enabling and re-enabling what it wants via windows updates, most recent case in point is GWX no matter how you hide , alter access rights uninstall, Microsoft repeatedly lied by saying the update resolved issues in windows when it had no such purpose and reverted hidden updeate settings and reverted access permisions on GWX folders to get it forced on qualifying windows systems, ultimately due to business customer pressure updating windows update itself to look for a very specific but widely undocumented registry setting to allow certain professionals subscribed to the right microsoft subscription to be able to signify that windows update and GWX must not push windows 10 on a particular individual windows 7 or 8.8.1 installation.But even still we are trusting Microsoft will obey their registry setting! You need the equivilent of realtime antimalware protection to ensure your privacy and destiny choices for your Microsoft Windows 7 and up instalation against Microsofts unsolicited tampering! TK, Microsoft is very strict about third party software to temper with their product's behavior, there will be negative impact on all of us. Next release will change the locations of those switches and may not allow to change them automatically. From Microsoft disclosure, we are just leasing this product and have no rights to modify it or abuse its use or they may disable it with one their famous "security update scam". TK, Ginna is correct, GOTD version can not be updated and Microsoft will change the position or the use of those snitches. Calimero, This software is one time use, GOTD version is not update able once Microsoft changes the location of those switches or make them inoperable from third party software. sam, Ginna stated in her comment "this software", like in "this type of software". If Ginna stated "why install the GOTD at all" .... you could have a better argument. However, I still can't see how "this software is one time use.... once Microsoft changes the location of those switches". It could be some time before Microsoft becomes (more) desperate and in stead of manipulating switches, relocation of switches is considered. sam, Ginna stated in her comment "this software", like in "this type of software". If Ginna stated "why install the GOTD at all" .... you could have a better argument. However, I still can't see how "this software is one time use.... once Microsoft changes the location of those switches". It could be some time before Microsoft becomes (more) desperate and in stead of manipulating switches, relocation of switches is considered. sam, b.t.w. I can't foresee the future, but if Microsoft would pursue a more agressive course it could raise awareness to a critical level in some countries (concerning the win10-EULA conflicting with their privacy laws). I also see some big problems in company use with win10 spying on their every move (allowed by the EULA). So I am hoping there is enough leverage on different levels to make Microsoft think twice. Calimero, if nobody complains to Microsoft about the privacy, it will be grandfathered in forever and we will have to agree to be spied on before they will allow us to use their software. Sam and Ginna are correct, if our privacy is controlled by a switch it will be to easy to reset those switches back at every phony Microsoft security update because we already agreed those switches to stay on when installed win 10. In the next update, win 10 will remove the function of those switches by claiming not agreeing with win 10 terms and EULA. Calimero, if nobody complains to Microsoft about the privacy, it will be grandfathered in forever and we will have to agree to be spied on before they will allow us to use their software. Sam and Ginna are correct, if our privacy is controlled by a switch it will be to easy to reset those switches back at every phony Microsoft security update because we already agreed those switches to stay on when installed win 10. In the next update, win 10 will remove the function of those switches by claiming not agreeing with win 10 terms and EULA. Jenny, complaints about the privacy-issues in Windows 10 are found everywhere; and that is why the maker of the GOTD sees a future in this product. Microsoft DOES know that this is a disadvantage (try finding the win10 EULA on internet on the site of Microsoft...), but for now it is just the people in the consumermarket and security-experts that seem to recognize the problems (probably because companies and government are usually (very) slow in adopting newer platforms). I think it will be different when people in government and commercial sector become more aware that there is a range of issues that arise when upgrading to win10. F.i. security issues in sending uncontrolled types of data; Win10 has an inbuilt keylogger that could be a target of malware redirecting those data. Also, if data collecting functions can't be switched off they will become an ideal target to malware... (I think it is not a question if malware will target those functions (f.i. what the user is typing or through voice recognition), but when this will happen). The other issue; if people buy win10 in their country, agree to the EULA, but the EULA is found to be in conflict with parts of privacy-laws in that country, the EULA is not valid regarding those parts, the privacy laws of that country will override the EULA on those issues. So, I think it is not that simple. Jenny, complaints about the privacy-issues in Windows 10 are found everywhere; and that is why the maker of the GOTD sees a future in this product. Microsoft DOES know that this is a disadvantage (try finding the win10 EULA on internet on the site of Microsoft...), but for now it is just the people in the consumermarket and security-experts that seem to recognize the problems (probably because companies and government are usually (very) slow in adopting newer platforms). I think it will be different when people in government and commercial sector become more aware that there is a range of issues that arise when upgrading to win10. F.i. security issues in sending uncontrolled types of data; Win10 has an inbuilt keylogger that could be a target of malware redirecting those data. Also, if data collecting functions can't be switched off they will become an ideal target to malware... (I think it is not a question if malware will target those functions (f.i. what the user is typing or through voice recognition), but when this will happen). The other issue; if people buy win10 in their country, agree to the EULA, but the EULA is found to be in conflict with parts of privacy-laws in that country, the EULA is not valid regarding those parts, the privacy laws of that country will override the EULA on those issues. So, I think it is not that simple. sam, it is highly unlikely MS will redesign windows services control interface which is what it would take to "change the position or the use of those snitches." They frequently take several months sometimes even years to address critical security flaws and publish patches, Redesigning windows services that has remained the same since before win2000 through a dozen or so new windows version development cycles (including windows servers) is not going to happen. Sooner or later Microsft will have to comply (at least in certain countries) with local privacy laws. In a couple of countries it seems that they had to sell a modified version of W10 or face a full ban the sell the "normal" version. In other countries big enterprises and government entities are switching to Linux. But... to make MS to change its attitude the big move has to come from the users. Dropping Windows once and for all! Step aside Bill, your moment is coming! Calimero, It's just a matter of time... Sooner or later Microsft will have to comply (at least in certain countries) with local privacy laws. In a couple of countries it seems that they had to sell a modified version of W10 or face a full ban the sell the "normal" version. In other countries big enterprises and government entities are switching to Linux. (In doing so the Italian Defense Department is saving something like 63 millions dollars...) But... to make MS to change its attitude the big move has to come from the users. Dropping Windows once and for all! (or just keep-it for the very few specific programs you really need) Step aside Bill, your moment is coming! Okay, thank you, but I already disabled some of the suggested options using one of the many free programs available. However, there is one option that catch my attention: "Disable Bing Search". And what about disable Google Search. Is Bing more dangerous for our security than Google stuff? I don´t thing so. In the same order of ideas,what shall we use? DuckDuckGo, Yandex, Yahoo!, Ask, Exaled, Gigablast, Lycos? Anyway I like all the additional options Privacy Protector has, BUT, as a last line, let me tell you that I will never pay 13 bucks for a program like this. Okay, thank you, but I already disabled some of the suggested options using one of the many free programs available. However, there is one option that catch my attention: "Disable Bing Search". And what about disable Google Search. Is Bing more dangerous for our security than Google stuff? I don´t thing so. In the same order of ideas,what shall we use? DuckDuckGo, Yandex, Yahoo!, Ask, Exaled, Gigablast, Lycos? Anyway I like all the additional options Privacy Protector has, BUT, as a last line, let me tell you that I will never pay 13 bucks for a program like this. Lui, all of the search engines intercept all or any search you do online, once you push search button it is a public domain that search and there is nothing we can do to stop it. Most of the disabled privacy issues are not really disabled at all, most of it is built inside the operating system, it is for our ego to think we now got privacy, it is an illusion, Microsoft had to put those switches to satisfy the EULA disclosure, bit they are not really disabled at all. I ran internet data pocket examination before and after those switches are turned off, the data is still sent via different channel or file that records all of your activities for that session. Lui, all of the search engines intercept all or any search you do online, once you push search button it is a public domain that search and there is nothing we can do to stop it. Most of the disabled privacy issues are not really disabled at all, most of it is built inside the operating system, it is for our ego to think we now got privacy, it is an illusion, Microsoft had to put those switches to satisfy the EULA disclosure, bit they are not really disabled at all. I ran internet data pocket examination before and after those switches are turned off, the data is still sent via different channel or file that records all of your activities for that session. There is one thing we can about it. We can demand our governments outlaw all data harvesting and storage without explicit authorization from users. I shan't write a long essay here but clearly an operating system like XP was a vital piece of economic and military infrastrucutre which Microsoft deliberately sabotaged for its own greedy purposes. That caused enormous economic loss and disruption globally. Who gave them the "right" to do that? Our copyright laws gave them the right and those laws are created by governments. Governments are created by people. That right of software companies to dominate and then destroy vital economic infrastructure needs to be removed. Imagine if all farmers were to say "we will stop growing wheat and grow rice instead so you have to stop eating bread." Well that would not be allowed would it? So why do we let Microsoft get away with that kind of thing? Microsoft gets away with it because it has an effective monopoly and does not have any serious competitor offering us a viable alternative. In a "free market" those who prefer XP to alternatives would be able to purchase it. If Microsoft didn't want to supply it then some competitor would supply a functionally equivalent copy to meet the large market demand for that product. Isn't that the whole idea of "free markets?" That the consumer gets what the consumer wants and the MARKET decides what is for sale, not the producers. Well the market in operating systems is no longer "free." It's not even really a "market" anymore. It's a monopoly in which Microsoft tells us what to use and how to use it so as to maximize their profits. It's a market in which to a large extent it appears there "is no choice." You want a new computer? Then it comes with Windows 10. Period. And the vendor doesn't tell you that Windows 10 is spyware. And no Apple is not really a choice and for many applications Linux isn't an option either due to the lack of device drivers for specialty peripherals many of us need. Who cares if we want XP and are willing to pay for it? Well any GENUINE market WOULD care. But XP doesn't have a lot of room for invasion of privacy so Microsoft is doing all it can to force us to stop using it. They can make more money by forcing us to use Windows 10 so that is what they do and to hell with ethics. Even if you purchased a legal copy of XP it is increasingly difficult to actually USE it and of course it is impossible to purchase a new "legal" copy. What kind of 'market freedom' is that? The ONE thing we can do about it is stop thinking "we have no choice" and instead demand our governments restore a free market in software and prohibit privacy violations OF ALL KINDS by software and hardware providers so that once again we do have a choice. Governments act when the public demands it. We're the public. We need to demand it. In the meantime some of us will do what we can to plug the leaks and secure our privacy when we find we "have no choice" but to use Windows 10. But I'll predict rather few people will do that, few enough that Microsoft won't really care to invest much effort in preventing that. I'll guess at least 9 users out of 10 will never take the time to understand the problem or develop the motivation to secure their own data. The very fact that anyone at all uses Facebook tells us how many people care about privacy. Therefore Microsoft's business plan will actually work, they will harvest enough data from enough users to make bundles of money and they'll continue to do that until we throw them in jail. Lui, a simple way to defeat google tracking your surfing after doing a google search is instead of clicking through, copy the *displayed* URL text to the clipboard and then paste it into a new tab, google won't see a click through, and the site you go to won't see your search engine referer URL with your search terms... block google analyictics and advertising servers and google only get your original search term but nothing else! I will play with it, but when I used the recommended options my laptop's battery icon disappears from the bottom right on the last bar and I get pop up browser windows with ads even if I'm not using the browser or don't have it open. I've heard that Windows reset all of these "spyware" option on each restart of Windows. Do we have to rerun this sofware on every start of Windows? Or should we do it one in a while after doing it after installation? "I've heard that Windows reset all of these "spyware" option on each restart of Windows. " Stuff like that is often click bait. Yes there is some activity that you cannot turn off short of a 3rd party firewall, but when you make a change to 10's settings, that change will only reset if/when there's an update that effects it, & then your prior setting is normally preserved. Globe, <i>"I've heard that Windows reset all of these "spyware" option on each restart of Windows. "</i> No... Stuff like that is often click bait. Yes there is some activity that you cannot turn off short of a 3rd party firewall, but when you make a change to 10's settings, that change will only reset if/when there's an update that effects it, & then your prior setting is normally preserved. Installed and activated on a test partition. The first item on the actions was to create a restore point which was checked by default. I reviewed the other actions that were checked by default and decided to go with all that were checked. However, the first item, create a restore point, failed with error message that it failed, but no reason why. The program then continued to make all the other changes, then requested a restart. I would think that failure to create a restore point would be a "whoa!" to let the user decide whether to continue rather than going ahead with the rest of the changes automatically. If the program was coded to pause at the failure, then the user could manually create a restore point and then return to resume the other changes. I found no other problems after the restart following the default actions that were done. However, it was in a test Win 10 partition and I had to return to Win 7 to do other things. I see that this program is listed to run in Win 7 & 8. If I install in in a Win 7 that will be upgraded at a later date to Win 10, will it then work? Installed and activated on a test partition. The first item on the actions was to create a restore point which was checked by default. I reviewed the other actions that were checked by default and decided to go with all that were checked. However, the first item, create a restore point, failed with error message that it failed, but no reason why. The program then continued to make all the other changes, then requested a restart. I would think that failure to create a restore point would be a "whoa!" to let the user decide whether to continue rather than going ahead with the rest of the changes automatically. If the program was coded to pause at the failure, then the user could manually create a restore point and then return to resume the other changes. I found no other problems after the restart following the default actions that were done. However, it was in a test Win 10 partition and I had to return to Win 7 to do other things. I see that this program is listed to run in Win 7 & 8. If I install in in a Win 7 that will be upgraded at a later date to Win 10, will it then work?
" If I install in in a Win 7 that will be upgraded at a later date to Win 10, will it then work?" When you install 10 as an upgrade, whether for 7-8 or upgrading builds of 10, it *tries* to retain your installed software & settings, but does not always succeed with everything. One example, upgrading Insider builds of 10, the Chrome browser will continue to work, but in my experience it will not update itself --- you have to uninstall & then install the new version. Some other apps continue to work as before, a few don't. Some lose their registration or activation. Leo Waltz, <i>" If I install in in a Win 7 that will be upgraded at a later date to Win 10, will it then work? "</i> Maybe... When you install 10 as an upgrade, whether for 7-8 or upgrading builds of 10, it *tries* to retain your installed software & settings, but does not always succeed with everything. One example, upgrading Insider builds of 10, the Chrome browser will continue to work, but in my experience it will not update itself --- you have to uninstall & then install the new version. Some other apps continue to work as before, a few don't. Some lose their registration or activation. I have since XP inactivated CONSOLIDATOR. Don´t no exactly what it picks up from us. Now choose Library scheduler/Microsoft/Windows/Customer Experiense Improvement Program. In the window to the right you find CONSOLIDATOR. I thought I had inactivated it after win 10 install BUT I hadn´t NOW IT´S DONE. "If the user has chosen to participate in CEIP in Windows, then this activity of collecting and sending usage data to Microsoft." And a tip: Always copy what you have written before sending in case something goes wrong. I have since XP inactivated CONSOLIDATOR. Don´t no exactly what it picks up from us. How to find it and inactivate: Right click This Computer and MANAGE (my translation to English sys) Now choose Library scheduler/Microsoft/Windows/Customer Experiense Improvement Program. In the window to the right you find CONSOLIDATOR. I thought I had inactivated it after win 10 install BUT I hadn´t NOW IT´S DONE. "If the user has chosen to participate in CEIP in Windows, then this activity of collecting and sending usage data to Microsoft." As I said above I have inactivated it since XP but I have NEVER ben asked to participate And a tip: Always copy what you have written before sending in case something goes wrong. Just use "Spybot Anti-Beacon for Windows 10". You might want to check the latest posts on the Spybot Anti-Beacon forum (https://forums.spybot.info/showthread.php?72686-Spybot-Anti-Beacon-for-Windows-10/page16), there seem to be a lot of concerns-- no recent updates, unable to remove it from systems, not remembering settings on reboot, etc. I have not checked this personally, I'm far too lazy to go through the hassle that these people seem to be having. Yeremyah, You might want to check the latest posts on the Spybot Anti-Beacon forum (https://forums.spybot.info/showthread.php?72686-Spybot-Anti-Beacon-for-Windows-10/page16), there seem to be a lot of concerns-- no recent updates, unable to remove it from systems, not remembering settings on reboot, etc. I have not checked this personally, I'm far too lazy to go through the hassle that these people seem to be having. Privacy Protector recommends always the same privacy fixes with each new start. It seems that the program doesn't recognize which fixes were already done, huh? Wayne Interessierts, no that is to ensure your choices are enforced on each reboot as microsoft may have silently reverted your choices after a silent windows update like windows defender pattern update under the guise of a security tweak! I was running WIN 8 on my computer, but was hijacked while using it, and Win 10 was installed without my knowledge or my permission!!! If I been a pc guy, I probably have installed Linux by now. I was running WIN 8 on my computer, but was hijacked while using it, and Win 10 was installed without my knowledge or my permission!!! If I been a pc guy, I probably have installed Linux by now. Kjell, actually you did agree. They changed the defaults. Tricky but technically legal. "... Win 10 was installed without my knowledge or my permission!!!" "Kjell, actually you did agree." FWIW, MS & a great many users claim that you have to have agreed for a 10 install to proceed. VERY many users have reported however that they had no choice in the matter, & MS has confirmed that their software & web services sometimes don't work as they're supposed to. At any rate, too many people have reported problems with a forced 10 upgrade to ignore, so very likely something is happening, has happened to them. And it's enough of a concern that I've read that legal action is pending. Kjell, <i>"... Win 10 was installed without my knowledge or my permission!!! "</i> <i>"Kjell, actually you did agree. "</i> FWIW, MS & a great many users claim that you have to have agreed for a 10 install to proceed. VERY many users have reported however that they had no choice in the matter, & MS has confirmed that their software & web services sometimes don't work as they're supposed to. At any rate, too many people have reported problems with a forced 10 upgrade to ignore, so very likely something is happening, has happened to them. And it's enough of a concern that I've read that legal action is pending. Jim, I very much doubt it is technically legal but untill it is properly challenged in a suitable court of law and proven legal or a breach of the end users rights or even a breach under the uk computer misuse act... it is just distastful conjecture!. mike: as usual, you're correct. My neighbor is one who (a) set his Windows 7 laptop to receive auto downloads / auto installs of Windows Updates and now (b) discovers he has Windows 10. He immediately got in touch with Microsoft Support which -- equally immediately -- accepted that he'd never asked for his existing OS to be replaced by a different OS. He has taken legal advice (although resident for 6 months of the year in the UK, where I am, he's also resident 6 months of the year in Arizona) and is ready to "be joined" in a Class Action against Microsoft. The action, as presently appears to be the case (sorry for the unintended pun) is *not* on the basis that he was mis-sold a product, but that Microsoft without his knowledge or consent caused the substance of property (computer) within his ownership to be 'varied', the effect of which has been the equivalent of a break-in such that the familiar, comfortable sofa installed in his family room has gone, replaced instead by a pair of uncomfortable Microsoft armchairs located there for Microsoft's commercial benefit. Not his. As to his response to Microsoft Support's offer to assist him in reverting to his former OS, he told them "I've never been a professional furniture remover and I'm not about to start being one now". Thanks, then, for your comment, and also very special thanks to GOTD, which yet again is being generous enough to facilitate a thread where general, relevant information is allowed to be communicated to a wide audience as well as specific giveaway comment. <b>mike: </b>as usual, you're correct. My neighbor is one who (a) set his Windows 7 laptop to receive auto downloads / auto installs of Windows Updates and now (b) discovers he has Windows 10. He immediately got in touch with Microsoft Support which -- equally immediately -- accepted that he'd never asked for his existing OS to be replaced by a different OS. What's interesting is that Microsoft Support at no time pleaded a 'technical hiccup'. Rather, it said he was in a category of users of a particular type -- I can't remember the category name now, but am amazed to hear that Microsoft has actually gone so far as to formally classify Win 10 users into the equivalent of the willing and the unwilling (I'm guessing this has something to do with Redmond's anxious Legal Department.) He has taken legal advice (although resident for 6 months of the year in the UK, where I am, he's also resident 6 months of the year in Arizona) and is ready to "be joined" in a Class Action against Microsoft. The action, as presently appears to be the case (sorry for the unintended pun) is *not* on the basis that he was mis-sold a product, but that Microsoft without his knowledge or consent caused the substance of property (computer) within his ownership to be 'varied', the effect of which has been the equivalent of a break-in such that the familiar, comfortable sofa installed in his family room has gone, replaced instead by a pair of uncomfortable Microsoft armchairs located there for Microsoft's commercial benefit. Not his. As to his response to Microsoft Support's offer to assist him in reverting to his former OS, he told them <i> "I've never been a professional furniture remover and I'm not about to start being one now". </i> Thanks, then, for your comment, and also very special thanks to GOTD, which yet again is being generous enough to facilitate a thread where general, relevant information is allowed to be communicated to a wide audience as well as specific giveaway comment. Should not this be a class action suit by US citizens against Microsoft? Should not this be an antitrust lawsuit by US government against Microsoft? The OS is so rotten that 3rd parties have written software to stop the violation of privacy. Quote [There are numerous services in Windows 10 that collect private user data of all possible kinds. This tool helps to solve all Windows 10 privacy issues that violate a right of every user for confidential activity on his PC. ] UnQuote Should not this be a class action suit by US citizens against Microsoft? Should not this be an antitrust lawsuit by US government against Microsoft? The OS is so rotten that 3rd parties have written software to stop the violation of privacy. Microsoft continues to behave with an arrogant contempt for PC users, hiding its intention to develop a massive Windows 10 user base as fast as possible behind phony "updates" that cause WindowsX pop-ups; that prepare a computer for the new OS; that then actually install that OS. The notorious KB3035583 is by no means the only trick in Redmond's book. It is my understanding that the US Department of Justice is well aware of what Microsoft is doing, but is waiting to see what Microsoft does next, because at the moment it seems -- emphasise the word "seems" -- Redmond is making no profit from Windows 10 but is merely giving it away. The instant it tries to exploit that user base by introducing recurring billing for future Win10 updates -- as is suspected in some quarters -- would be the game changer. However . . .
What the DoJ has lamentably failed to comprehend is that Microsoft is not merely a software developer but a major player in the massively lucrative business of the mass harvesting of personal data. Perhaps today's news that Microsoft has paid $26 BILLION -- 50% more than the actual share price -- of networking site Linked In will open its eyes. That $26 billion delivers to Microsoft a user base of 433,000,000 people. So now you know then, just what you, as an individual, are worth; why your identity is so valuable (go on, you do the math); and why with Win10, Microsoft has been especially assiduous in manipulating the gullible in the pursuit of a business objective far removed from the Gates original. As to today's software: non-tecchies may well find it useful but in a case such as this, ignorance is not bliss and complacency, dangerous. Insulating yourself against the efforts of this giant American corporation is best achieved not by a third-party software solution alone but by actual knowledge. Searching out any of the 100s of online articles out there will not only show you how to deal with Windows 10 but why you should deal with it. Meantime, here's to 433 million new advertising pop-ups for Windows X . Way to go, Microsoft, way to go . . .
ric: Microsoft continues to behave with an arrogant contempt for PC users, hiding its intention to develop a massive Windows 10 user base as fast as possible behind phony "updates" that cause WindowsX pop-ups; that prepare a computer for the new OS; that then actually install that OS. The notorious KB3035583 is by no means the only trick in Redmond's book. Particularly vulnerable have been all those trusting souls who allow the <b>automatic</b> download and installation of Windows updates -- something no prudent PC user should <b>ever</b> do. And then there've been the usual Early Adopters, people who always want to be the first with something just to be, er, first. (What price wristwatch cellphones and 3D televisions now, huh?) It is my understanding that the US Department of Justice is well aware of what Microsoft is doing, but is waiting to see what Microsoft does next, because at the moment it seems -- emphasise the word <b><i>"seems" -- </b></i>Redmond is making no profit from Windows 10 but is merely giving it away. The instant it tries to exploit that user base by introducing recurring billing for future Win10 updates -- as is suspected in some quarters -- would be the game changer. However . . . What the DoJ has lamentably failed to comprehend is that Microsoft is not merely a software developer but a major player in the massively lucrative business of the mass harvesting of personal data. Perhaps today's news that Microsoft has paid $26 <b>BILLION</b> -- 50% more than the actual share price -- of networking site Linked In will open its eyes. That $26 billion delivers to Microsoft a user base of 433,000,000 people. So now you know then, just what you, as an individual, are worth; why your identity is so valuable (go on, you do the math); and why with Win10, Microsoft has been especially assiduous in manipulating the gullible in the pursuit of a business objective far removed from the Gates original. As to today's software: non-tecchies may well find it useful but in a case such as this, ignorance is not bliss and complacency, dangerous. Insulating yourself against the efforts of this giant American corporation is best achieved not by a third-party software solution alone but by actual knowledge. Searching out any of the 100s of online articles out there will not only show you <b>how</b> to deal with Windows 10 but <b>why</b> you should deal with it. Meantime, here's to 433 million new advertising pop-ups for Windows X . Way to go, Microsoft, way to go . . .
"Should not this be a class action suit by US citizens against Microsoft? " Not gonna happen -- privacy violations are far too common & widespread, plus they're welcomed by the gov. ric, <i>"Should not this be a class action suit by US citizens against Microsoft? "</i> Not gonna happen -- privacy violations are far too common & widespread, plus they're welcomed by the gov. In addition to KB3035583 which MS keeps putting into the "updates" for Win 7 to get Win 10 installed, there is another one just as bad, KB2952664 which also gets thrown into the updates now and then. * These 2 I'm not sure if they are OK or not but I won't download them. I check each and every update MS puts out now so I don't get notifications that Win 10 is ready to download (again-again) even though I already have it installed. Right now I have Win 7 & Win 10 in a dual boot setup and have Mint ready to install as a triple boot setup. 10 is installed with the spyware all set to OFF but I don't normally use it. The Win 10 spyware I think is the worst is when you search for something you want to buy on the web Windows 10 (through Bing if you use it) will send you to sites that your email address book corespondents have gone to!! It's right there in the privacy notices (somewhere). BillyB, Thank You. Worked like a charm. Be carefull with this though, some of the items listed you might use. choose wisely. What does this software do better compared with the freeware o&O Shutup10? For those of you that don't read German all that well, substitute "en" in place of the "de" in the address Carl gives. Looks like a great site. Carl, For those of you that don't read German all that well, substitute "en" in place of the "de" in the address Carl gives. Looks like a great site. Don't be fooled, even older versions of Windows shared some information with Microsoft, so your sense of privacy and security may have been severely compromized for a long time without you knowing about it. Don't be fooled, even older versions of Windows shared some information with Microsoft, so your sense of privacy and security may have been severely compromized for a long time without you knowing about it. Anyway, a complete list of FREE alternatives can be found here: http://www.ghacks.net/2015/08/14/comparison-of-windows-10-privacy-tools/ Hope it helps. This is a good one, folks. It compares 11 different privacy tools in some detail, including whether the program gives backup/restore points, and does it give an explanation of the the settings do. I think these are two very important things to know. Unfortunately it does not discuss the Privacy Protector 1.6 for Windows 10 offered here. I'd bet you can find something interesting in the list if you really, really want to. Mario, This is a good one, folks. It compares 11 different privacy tools in some detail, including whether the program gives backup/restore points, and does it give an explanation of the the settings do. I think these are two very important things to know. Unfortunately it does not discuss the Privacy Protector 1.6 for Windows 10 offered here. I'd bet you can find something interesting in the list if you really, really want to. Hi, all of it sounds fine, except coming from SoftOrbits - ironically a tad hypocritical? They after all notoriously 'spy' on their own Giveaways Software on each PC turning Licensed Programs into Trials every time they offer something new one, hmm.. I have alternate addresses just for registrations. If they get spammed it's annoying but select all delete works. Hi, this is a bit enigmatic:), are You implying that login address to GOTD (not my primary) is used by SoftOrbits when d/loading and installing their stuff?? I don't recall registering their Software giving them this address? Is it 'attached' to my individual d/loads for them to lurk about my PC?? Please enlighten me if You're still there, I'm baffled now. Jim, Hi, this is a bit enigmatic:), are You implying that login address to GOTD (not my primary) is used by SoftOrbits when d/loading and installing their stuff?? I don't recall registering their Software giving them this address? Is it 'attached' to my individual d/loads for them to lurk about my PC?? Please enlighten me if You're still there, I'm baffled now. fran, To register, they require your email address, so that they can send you the registration key. This is a common practice these days. err, that wasn't what Jim said!? His full reply was posted to my e-mail as well. fran, err, that wasn't what Jim said!? His full reply was posted to my e-mail as well. Hi, cheers, that much I know. Jim was saying something else, so unfortunatelly my reply and question to him looks 'blond' all over now:)..
Rick_S, Hi, cheers, that much I know. Jim was saying something else, so unfortunatelly my reply and question to him looks 'blond' all over now:).. I am 72 and know my way around a computer for sure. I will stay with my dual-boot of win7 and linux mint. I have mint looking and acting just like windows. I just am amazed at how younger people just give up their privacy for free crap. I fought so you would have a choice...but I am sooo disappointed with the choice you make with win10. clas, "acting just like windows" - What do you mean? And how did you do that? Well, first i wanted linux to be comfortable for me and look and act like what i was comfortable with...win7. fonts and sizes were the first. its super easy to get windows fonts on linux...a minute, i guess. and files...so easy as if you are in linux, you can see all your windows files, navigate to them, use them, move them, add to them...just as if you were in windows. with a dual-boot...if you are in windows, you cannot see linux files...but if you are in linux, you can see and interact with your entire windows filing syste. slick. clas, This sounds interesting, Clas. I wish I knew it earlier. Thanks any way. I may try it later. clas, "Looking like Windows" is not the sort of statement of someone who really 'knows their way' around computers. What significant Windows software does it run. MS Office with Macros, Sony Vegas, Adobe?? PB - if you want Linux to run windows programs, why bother? you already have windows doing that and violating your privacy at every click of the mouse. If Microsoft Windows is such a privacy concern, why wouldn't their office suite and other MS offerings have those same privacy concerns? If you really want privacy with your computer, isolate your computer from the internet. PB - if you want Linux to run windows programs, why bother? you already have windows doing that and violating your privacy at every click of the mouse. If Microsoft Windows is such a privacy concern, why wouldn't their office suite and other MS offerings have those same privacy concerns? If you really want privacy with your computer, isolate your computer from the internet. Thanks for this, I've been thinking of exploring non-MS operating systems for awhile. Heck, if a 72 year old geezer can do it, a 70 year old kid should be able to do it, too. clas, Thanks for this, I've been thinking of exploring non-MS operating systems for awhile. Heck, if a 72 year old geezer can do it, a 70 year old kid should be able to do it, too. I hope the best for Win 10 users. Only read what was written here on GOTD about Privacy Protector. My question is, if you block Micro$ofts data collection and dropping malware on your system, does that mean they will stop giving you updates? Personality, I like doing it my way, staying with Windows 7 Pro. Never allowed one kbxxxxx of nag-ware on my computer. I recommend if you can go back to Windows 7, 8 or 8.1 do it. If you can't, Privacy Protector maybe your answer. If it works, I'm posting and telling everyone about the software. Starting with askwoody. com and moving out from there. Don't give up your privacy so easily. When you want it back, you'll be up that turd creek. That's why i dont install w10. Couldn't agree more ... I use Linux for my work stuff and in a lot of instances I find it a superior system to Windows, but the only drawback for Windows users that the game support on Linux is quite poor, I think that's why so many people stick with windows. Tony, Couldn't agree more ... I use Linux for my work stuff and in a lot of instances I find it a superior system to Windows, but the only drawback for Windows users that the game support on Linux is quite poor, I think that's why so many people stick with windows. Lenny, I agree with you, gaming and high grade photo, video software has limitations. But for most, it suites their needs. I do up old comp that people give me and then I give then away to those who are strapped for cash. They have better security than windows any day. I already have a similar freeware program that does more or less the same as this but thought I'd give this the once over and found a few extra items that the freeware program didn't have. Installation and registration were very quick and painless, but I found it rather ironic that my anti-malware program detected this as a threat .... Without software such as this Windows 10 is one big pile of malware. Thanks. In regards to your remark "I already have a similar freeware program that does more or less the same as this" what program are you using? Lenny, In regards to your remark "I already have a similar freeware program that does more or less the same as this" what program are you using? I use O&O Shutup10, but I have also blocked most of Win 10's spying apps with my firewall, which took quite a bit of doing as I had to troll through the registry for some of the entries in order to block them. Word of advice ... DON'T play with registry unless you really know what you are doing. I work in the computer industry but even at that it is a very time consuming task. As for Windows 10, without the sypware that MS put on it it is not the best of OS but works. I tend to use Linux for my work as it's faster, more secure, and trouble free. Sadly there are some applications I need Windows for otherwise I'd be 100% Linux. Pushmataha, I use O&O Shutup10, but I have also blocked most of Win 10's spying apps with my firewall, which took quite a bit of doing as I had to troll through the registry for some of the entries in order to block them. Word of advice ... DON'T play with registry unless you really know what you are doing. I work in the computer industry but even at that it is a very time consuming task. As for Windows 10, without the sypware that MS put on it it is not the best of OS but works. I tend to use Linux for my work as it's faster, more secure, and trouble free. Sadly there are some applications I need Windows for otherwise I'd be 100% Linux. As the latest version mentioned on the homepage is version 1.5 (which I have), how does this "NEW" version 1.6 differ, or is it a somehow crippled version for GOTD users? Was aware that Windows 10 invaded your privacy but had no idea to what extent, more like a virus than an OS. If this data Microsoft are collecting is not transmitted in a very secure manner they've done a great deal of the hackers work for them. Tata, you are potentially more secure on XP and even more secure on win9x/ME as the attack surfaces are smaller and few if any criminal hacker codes for such rarely used operating systems. "Was aware that Windows 10 invaded your privacy but had no idea to what extent... Makes me wonder if I'm more secure in XP. :-)"
No... or at least *probably* not. A bit apples & oranges... A lack or breach or invasion of privacy does provide data that can be used for scams & as part of the 1st steps to compromise your system, accounts etc., or can be used for things like planning the best times to break into your home or biz. But criminals often choose another approach, exploiting vulnerabilities in software to plant malware on your system. XP has far more of those vulnerabilities than 10. Tata, <i>"Was aware that Windows 10 invaded your privacy but had no idea to what extent... Makes me wonder if I'm more secure in XP. :-)"</i> No... or at least *probably* not. A bit apples & oranges... A lack or breach or invasion of privacy does provide data that can be used for scams & as part of the 1st steps to compromise your system, accounts etc., or can be used for things like planning the best times to break into your home or biz. But criminals often choose another approach, exploiting vulnerabilities in software to plant malware on your system. XP has far more of those vulnerabilities than 10. Without being privy to the source code we are neither in a position to draw any logical conclusions. One point, as a hacker in XP I have to search for the information, in Windows 10 it tells them where to look and that is the information being passed back to Microsoft. <b>TK</b> An excellent point. :-) <b>mike</b> Without being privy to the source code we are neither in a position to draw any logical conclusions. One point, as a hacker in XP I have to search for the information, in Windows 10 it tells them where to look and that is the information being passed back to Microsoft.